NIA CHARLESTOWN NEVIS (October 29, 2014) — Deputy Premier of Nevis and Tourism Minister Hon. 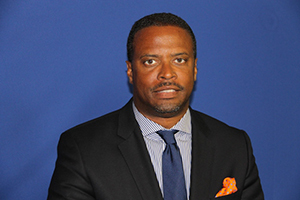 Mark Brantley said at a recent Consultation on the Economy, hosted by the Nevis Island Administration (NIA), that cruise and yachting tourism remained part of its tourism promotions. He and announced that the island was expected to receive more cruise calls for the 2014 season over that of 2013. “Last year we had 34 cruise ship calls. This year we expect 47 cruise ship calls, an increase of 38 percent. I must tell you, however, that increase in calls has not reflected in an equal increase in passenger numbers and the reason for that is because one of our largest ships “Azamara” has left the Caribbean. It will not be sailing the Caribbean this year and so that passenger ship would carry 694 people has been taken out. “We have replaced them with more calls, a number of calls but overall, we expect only to see a modest increase in actual passenger arrivals of 2.52 percent. We have a new ship “The Pearl Mist” which I’m told, is a Canadian vessel and that will be coming for the 1st time,” he said. According to Mr. Brantley, the Ministry of Tourism was working with the Nevis Tourism Authority (NTA) to steadily increase the number of high-end cruise calls to Nevis. “We’re working assiduously through the NTA and the Ministry is really to increase the number of cruise ship calls but to do so incrementally. Let me just say…our policy has been and continues to be that we are not primarily a cruise ship destination. 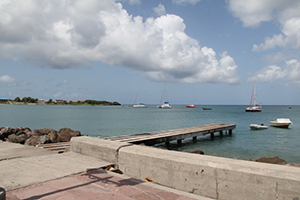 Nevis is a niche luxury market [and] that is what we market ourselves as,” he said. The Tourism Minister explained that the focus remained on land-based tourism but was utilising the cruise as a means of introducing people to the island. “We target small ships. We target the higher-end ships and the hope would be that once they come here, they fall in love with what they see and they chose to come back for a land-based holiday. “So that has been our approach and continues to be our approach and so, we are increasing the numbers incrementally, increasing the exposure incrementally, with the hope that the hotels which continue to be the backbone of our industry benefit,” he said. 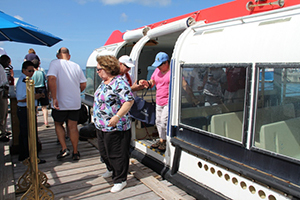 In relation to Yacht Tourism, Mr. Brantley noted he was pleased with the increase in the number of boats that continued to visit the island. “In so far as yachts, I am very pleased that yacht calls are increased. The yacht passengers are up a whopping 61 percent this year over what we were last year and so, we continue to see some movement in that regard, in so far as yachting is concerned,” he said.